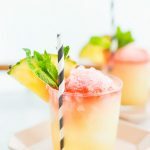 With the dog-days of summer in full swing, now is the perfect time to whip up a batch of something cold and fresh. 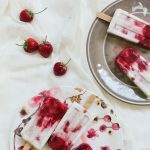 That’s why I, Alex, am here to save the day with these roasted peach and cherry popsicles recipe! 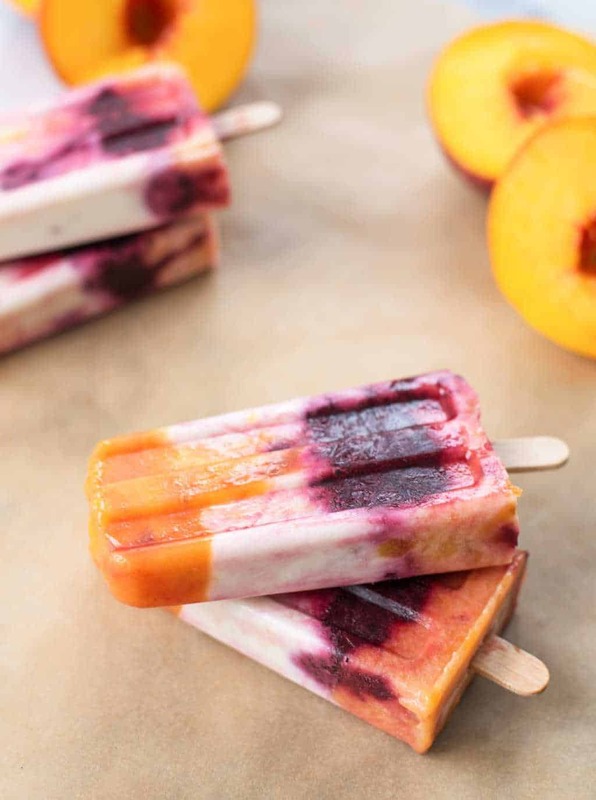 Making the most of in-season produce, these popsicles layer sweet, juicy peaches with bright and tart cherries and creamy coconut milk. Dairy-free, gluten-free and naturally sweetened, they are a delicious, bikini- friendly dessert. 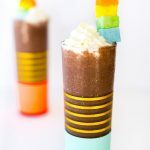 Here at Sugar & Cloth, you know we can’t turn down a frozen treat! These babies are a must-try. 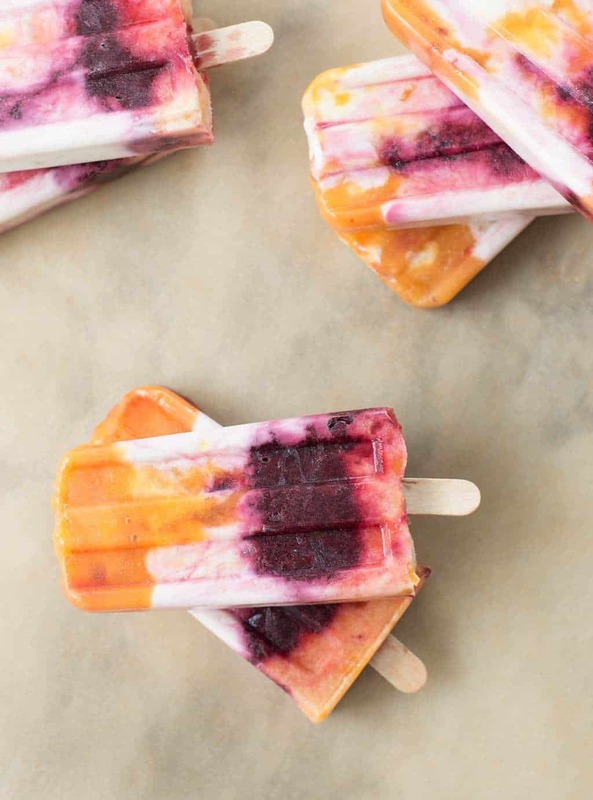 Even though these popsicles only call for 3 tablespoons of maple syrup in the whole batch, they taste just as sweet as store-bought ones. Roasting the fruit brings out more of it’s natural sugars, intensifying the sweetness in each and every bite. 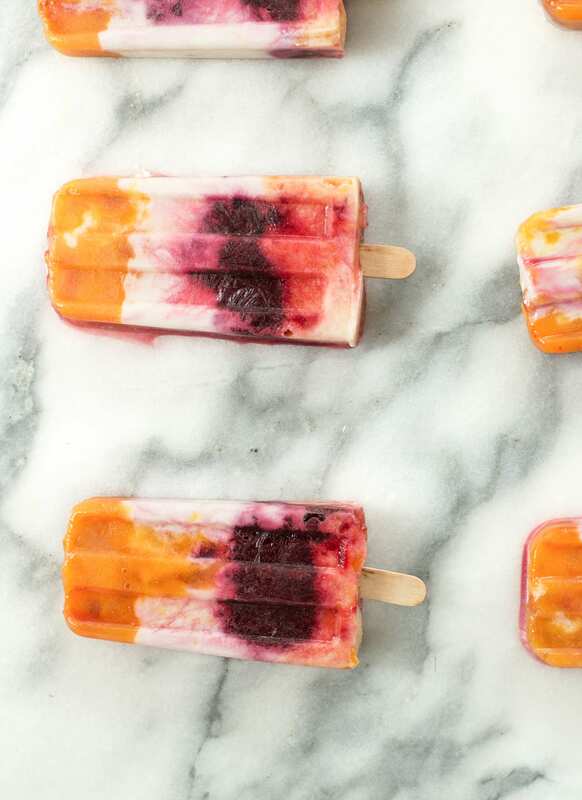 Once you get the hang of these peach and cherry popsicles, the combination possibilities are endless. Simply swap in your favorite fruit and go! Place peaches in a single layer in a glass baking pan. Drizzle with 1 tablespoon maple syrup, toss to combine and roast for 12-15 minutes or until bubbly and piping hot. Remove from oven, allow peaches to cool completely. Transfer the peaches and any peach juice into the base of a blender along with ¼ cup coconut milk and a pinch of the lime zest. 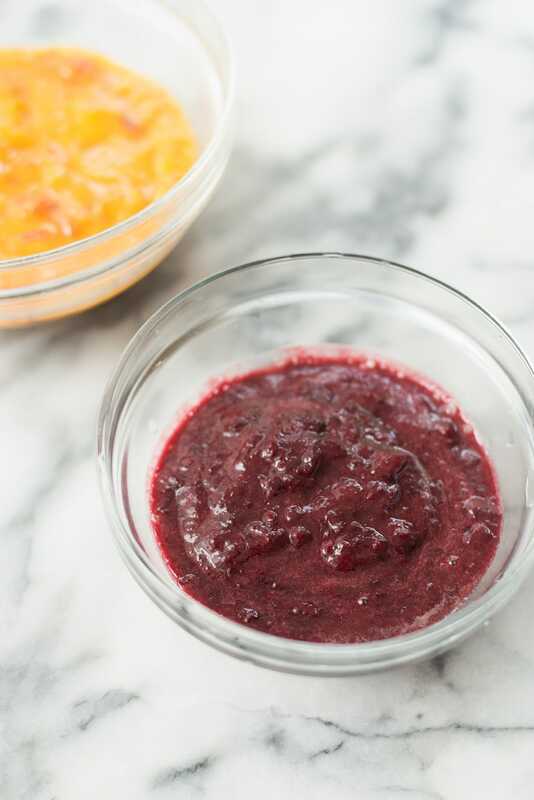 Puree until creamy and smooth, then place in a bowl. Repeat with the cherries. If you have two glass pans, you can roast the peaches and cherries at the same time. 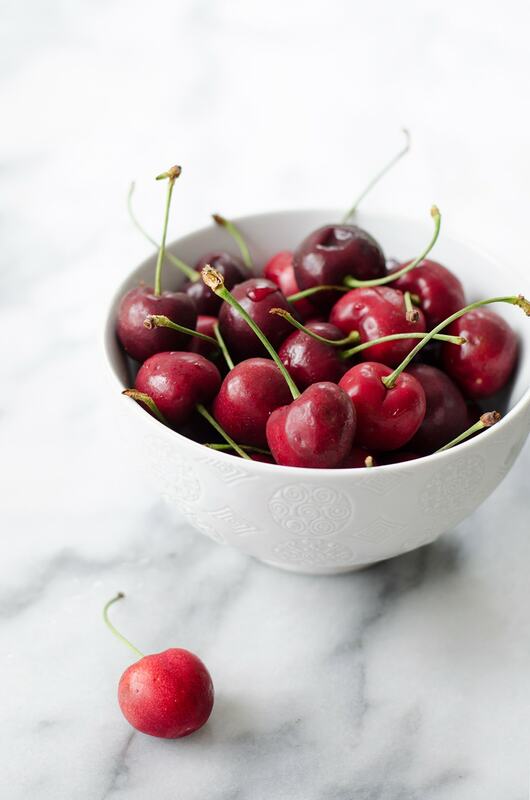 Place cherries in a single layer in a glass baking pan. Drizzle with 1 tablespoon maple syrup, toss to combine and roast for 15 minutes until bubbly. Remove from oven, let cool completely, then transfer to a blender with an additional ¼ cup coconut milk and pinch of lime zest. Puree mixture until creamy and smooth, then place in a bowl. Return the blender to the base and add the remaining maple syrup, coconut milk, lime zest and very small pinch of sea salt. Puree to combine. 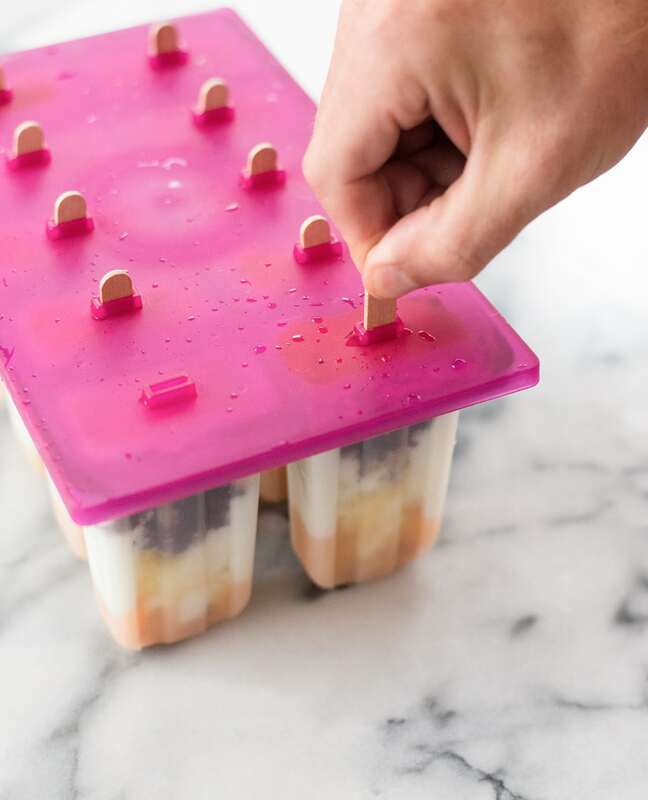 Layer the peach, coconut and cherry mixture into popsicle molds. You can keep the mixture layered like this, or give the molds a quick stir for a marbled look. Cover and freeze until firm, at least 3 hours. While there are endless popsicle molds on the market, I prefer these plastic and metal molds for a classic, Instagram-worthy pop. 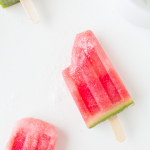 To remove, submerge bottom of popsicle mold into warm water for 10 seconds. Remove and enjoy immediately! And there you have it! 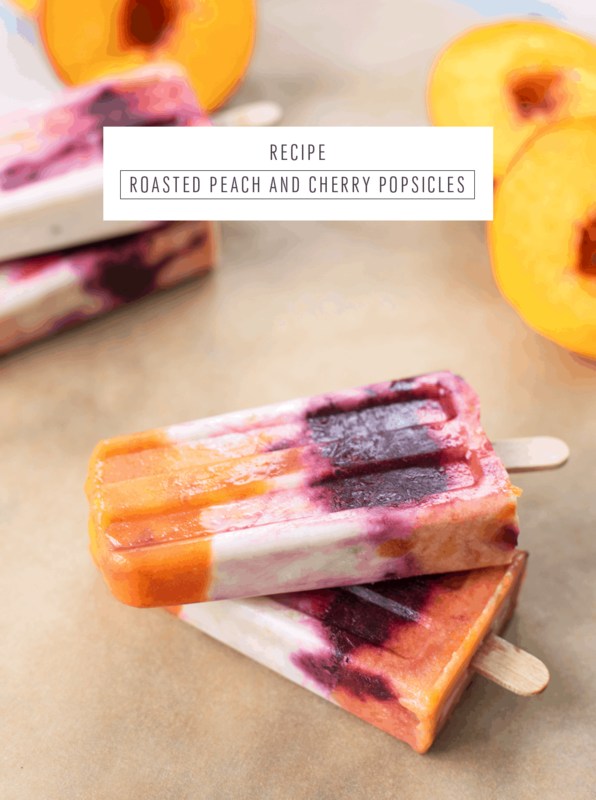 Fresh roasted peach and cherry popsicles that will leave you satisfied for the rest of the summer season… Do you guys have a go to popsicle recipe? Let us know so we can try it out..
You NEED to! So good. You did a great job, it looks really awesome. Must be appetizing and tastes delicious!